Figuring out coffee culture terms can be confusing if you’re just stepping into it. 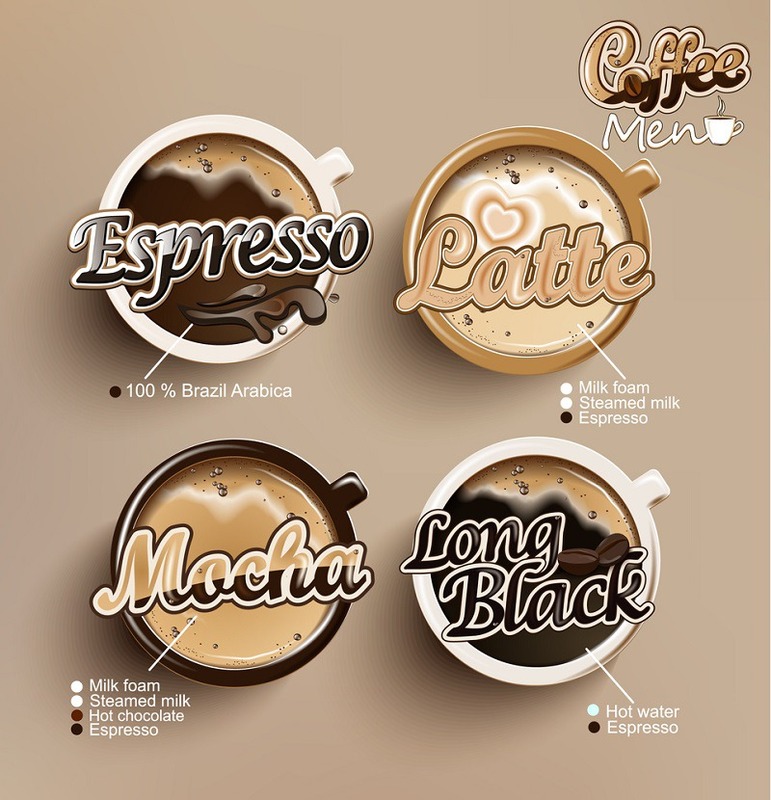 What are all those foreign-sounding terms like espresso, latte, cappuccino and the like? Espresso is coffee, but not all coffee is espresso. The key word to differentiate all these different forms of coffee, is that most of what we call “just” coffee is more accurately called drip coffee. A drip coffee maker is a machine that makes brewed coffee by dripping hot water through coffee grounds in a filter. The filters can either be flat-bottomed or cone-shaped. Another type of brewed coffee using essentially the same method, is known as a pour-over. In this case, you manually pour hot water over a filter apparatus directly into the waiting cup. However, espresso and derivative drinks like lattes and cappuccinos are totally different and made with specialized tools. The main thing to understand about the difference between espresso and coffee is that espresso is not simply a coffee roast. There are indeed coffees labeled “espresso roast”, but this is somewhat misleading. Coffee used for espresso is typically finely ground and made from different varietals and even different roasts. The resulting coffee is usually a dark and bold form of coffee. This coffee is then packed into a metal portafilter on an espresso machine and high-pressure water is released through the grounds, allowing it to be extracted in small amounts. The resulting brew is strong, concentrated and intense. This is the type of coffee that Europeans prefer and Americans usually water down in the form of an Americano. An Americano is usually a shot or more of espresso and then hot water to fill the cup, which makes it taste very similar to drip coffee. Pure espresso is generally served in small demitasse cups without any additions. Espresso can either be a full shot or a short shot, also known as a ristretto. The ristretto shot is the first three-quarters of a shot, usually the sweetest, caramelly part. A ristretto shot won’t have quite as much intensity as a full shot. The opposite of a ristretto would be the lungo, or long shot. This shot allows the extraction to continue until you have one and a half ounces as opposed to the usual one ounce. Naturally, this is a stronger-tasting form of espresso, only topped by the double shot, which uses twice the amount of coffee in the filter. In summation, espresso is not a type or roast of coffee, but rather a method of preparing coffee. The coffee most people consume from a coffee pot is more properly called drip coffee, which identifies it as coffee made through the drip brewing method. The most popular of these drinks in America are undoubtedly the latte and mocha. A latte, in its original meaning, is a shot of espresso, then about six ounces of steamed milk and some steamed milk foam to top it off. A mocha is made the same way, except chocolate syrup or powder is added at the bottom with the espresso. In America, it’s popularly topped with whipped cream instead of foam. Another drink that is overshadowed by misconceptions has to be the cappuccino. 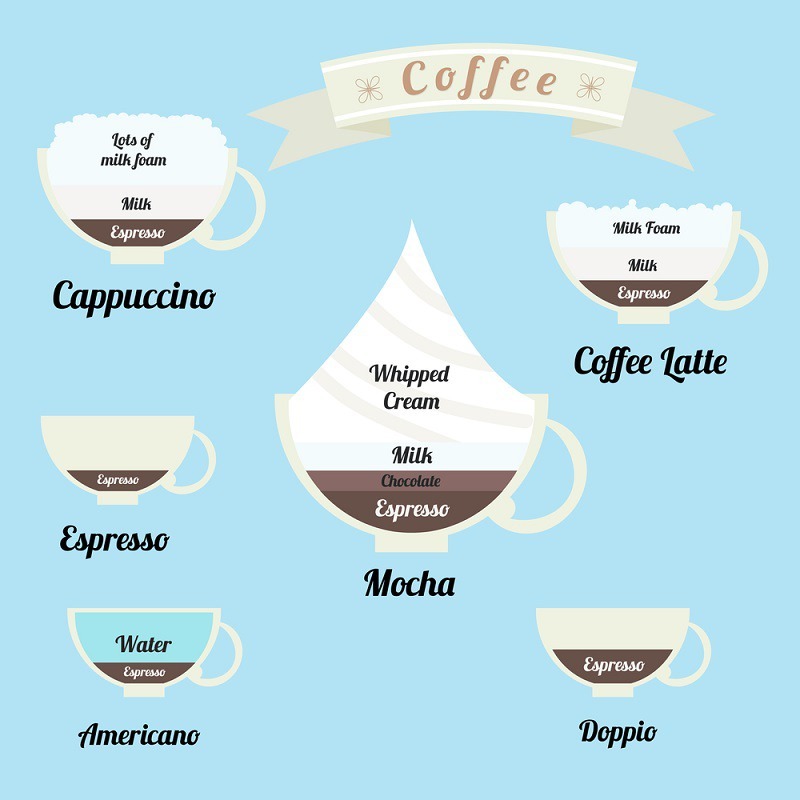 Simply defined, it is espresso and steamed milk, so what’s the difference between latte and a cappuccino? That depends on who you ask. Originally, the cappuccino was just a shot of espresso and a few ounces of steamed milk. Wait, that sounds like a latte, you might say. Unfortunately, the popular version of a cappuccino in America is a shot or two of espresso, some steamed milk and then a ton of foam. This is as opposed to the popular form of a latte where the cup is filled with steamed milk on top of the espresso and just a bit of foam for the topping. The main difference between these drinks in America is the amount of foam. In Europe, the latte has foam and the cappuccino does not. A macchiato is another espresso drink that has been warped a bit by the popular American treatment. The original form was foamy steamed milk marked with an espresso shot poured through the top. It didn’t originally contain caramel or any other sweet flavorings. Some other espresso drinks include espresso con panna and espresso breve. Espresso con panna is a shot or two of espresso topped with whipped cream, while espresso breve is a shot of espresso topped with steamed half and half. A frappe coffee is actually Greek in origin and is still very popular in that country. It is made by adding spray-dried instant coffee to a little cold water, sugar if desired and then shaken in a cocktail shaker to produce foam. The mixture is added to a glass with ice and then topped with cold water and sometimes cold milk as well. 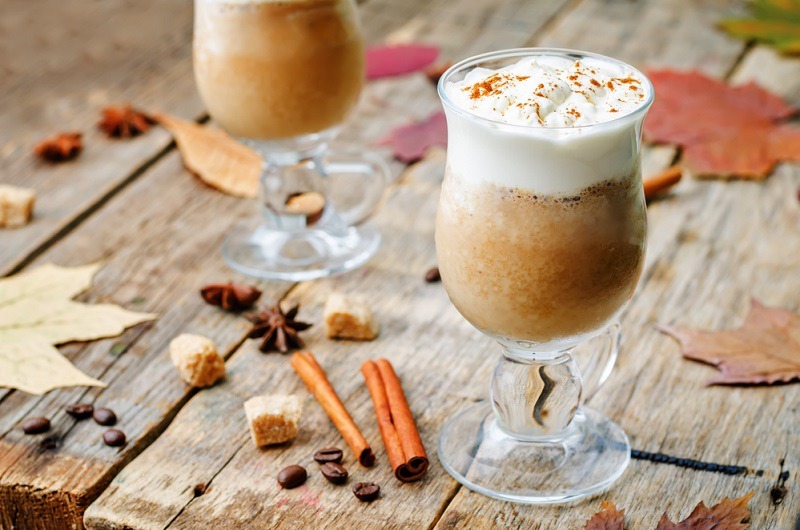 There are all sorts of flavor variations with Greek frappes, including adding liqueur such as Bailey’s or Kahlua. Outside of Greece, the common version of a frappe is made with espresso by combining two shots with a bit of sugar in a cocktail shaker with ice. The resulting blend is then simply poured into a glass and consumed. Related to the frappe is the Starbucks-trademarked term frappuccino, which was originally a blend of milkshake and coffee started by a coffee shop in Boston, Massachusetts. Starbucks bought that shop and the term and then eventually made their own version. The Starbucks version has changed form over the years, but essentially it’s a premade blend of milk and coffee that is blended with ice. Customers can then add a bevy of flavorings, toppings and even espresso to customize the drink.